It was the playgrounds that shocked me the most. The slides were empty. The sandboxes abandoned. As I prepared myself for a three-day trip to Israel last week, I braced for soldiers. Sirens. Katyushas falling like rain. What stunned me the most, however, and has kept me crying since my return, was all those empty swing sets. We Jews know that Israel is under heavy attack on three fronts — Lebanon, Gaza and the world’s media stage. We know that Hezbollah militants entrench themselves among Lebanese civilians to launch their attacks, cozily forcing the Israel Defense Forces into a quagmire in which there can never be a true cease-fire. We know that in Gaza, the ragtag militia of suicide bombers and Hamas gunmen is really comprised of mere schoolboys, 17-and 18-year-olds who have traded their books for camouflage pants and C-4 belts. We know that to these “soldiers” — the would-be Islamic martyrs to Israel’s south and the Iranian-funded foot army to Israel’s north — it matters little how many civilians die. While us Jews embrace life, Israel’s increasingly fundamentalist neighbors extol death. They plaster their alleyways with the stoic faces of suicide bombers in the same manner that movie billboards are hung on Sunset Boulevard and in Times Square. How can we expect them to respect the sanctity of life when for them, the “fighters,” the one and only goal of life is to meet a noble death? For the Jews, the focus has always been on survival. From the earliest notes of recorded history, we have been running for our lives. We came from pogroms and inquisitions and through the Holocaust to finally return to the place we started — Israel. As I saw this past week, we were not going to be moved again. We are not a people who will run any longer. So what do we do instead, when the sirens wail and the rockets begin to fall? We do what we have always done. Protect our children, and move forward with our lives. Israel is a mere handful of soil, a speck on the map, but I have always believed that the world’s center of gravity is located beneath her sand. Why did I fly there at the height of a war? Sure, as a journalist, it was a great story. But there is something more there. A pull, a calling, a magnet I’ve yet to define but can’t ignore. She needed me, and I had to go. I had to tell her story. In Haifa last week, all the children had gone underground. The summer camps were closed. The day-cares were deserted. Occasionally, as our tour bus moved down the eerily silent streets, we would think we saw a child and shout. Immediately, our 40-strong group pressed their faces up to the glass. “Over there! A child! By the shoe store, holding his mother’s hand . . .” He would vanish as quickly as he had appeared, but we would swear that we saw him. There were other sightings that day as well. Two small girls, pushing a doll’s stroller in front of a bakery. A baby, bouncing on his mother’s hip. A child jumping rope or perhaps playing hopscotch. Those boys on the corner by the falafel stand (or was it shwarma?) kicking a soccer ball (or maybe tossing a baseball?). The truth is, there were no children on the streets of Haifa on the day that I visited. There were hardly any adults, only the brave few collecting the necessary groceries and sundries to keep life going. In one makeshift fallout shelter in a subterranean parking garage, an impromptu summer camp had been set up. There was a magic show and a crafts table of Popsicle stick houses. Several boys and girls had their faces painted like kittens. There were balloons and glitter and an off-duty soldier strumming her guitar. If they had been outdoors, it would have been lovely. Instead, however, there were exhaust fumes and car horns and the terrible echo of 200 giggling, shouting kids. I thought my return would be haunted with images of rockets and gore. I was so wrong. After a week at home, it is the faces of those underground cherubs that wake me in the night. We didn’t tell them why they were there. We put whiskers on their cheeks and crayons into their hands. They were good children. They sang and colored for us. But with every extra siren, they grew up just a little bit more. Soon there will be no more children in Haifa. When the next war comes, we will have no one left to hide. And for this, I cry and cry and cry.  Kamin, a San Diego-based writer, recently joined the American Zionist Movement in a three-day solidarity mission to Israel.